Our custom-blends are a simple, easy to use method to have a mixture created specifially for any purpose! Mixtures can be created for powder incense, oils, or herbal charms. Simply tell us the purpose and intention you wish to manifest. Include your name (magickal or mundane name), and astrological and/or birth information (if available), and whether you would like the mixture in powder incense, oil, or herbal charm form. Morgana will then create a mixture specifically for you. The cost of this service is $35 per half ounce of oil or powder incense. We require a 50% non-refundable deposit upon placing the order. We try to work with moon and astrological phases, so depending on the time the order is placed, it may take a week or two before your order is completed. Please make us aware if the need is immediate, and we will do our best to rush the order through. Custom orders can be placed either in the shop or via email. If you will be ordering via email, please write a paragraph or two and be very clear about what you would like us to create for you. We also have a form we can email which has additional information that is helpful to Morgana when creating a custom blend. We may follow up with additional questions, so be sure to include a phone number and email address where you can be reached, when you place your order (both in-store and via email. 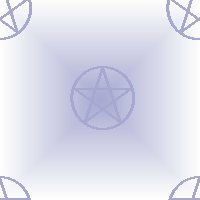 If your need is more complex, be sure to check out our "Spell Consultations" service, found here.